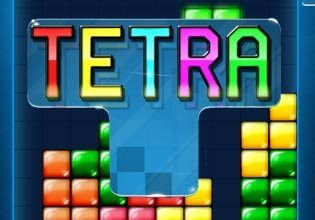 Tetra is the latest and greatest version of the famous puzzle game Tetris. In this cool game, you have to fill the horizontal lines with blocks dropping from the top of the screen. Once a horizontal line is filled, the blocks will be removed and you gain points for this line. In order to get higher scores, alter the direction of the falling blocks according to the empty spaces in the horizontal lines. Be aware that you will lose the game if the blocks reach the top of the screen. Tetra is one of the most entertaining puzzle games so don't miss the chance to show off your skills. Play Tetra now for free!